La Barranca was built in 1969 (read full history) and has been lovingly maintained by 3 owners prior to Dawn and Terry. 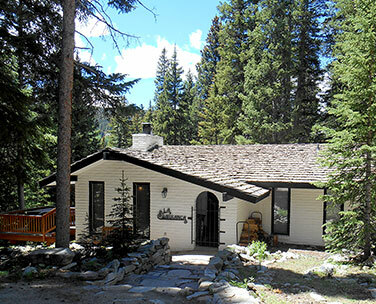 Nestled in a spruce forest at 10,600 feet, it is at the foot of a national forest preserve and next to a sparkling mountain stream. 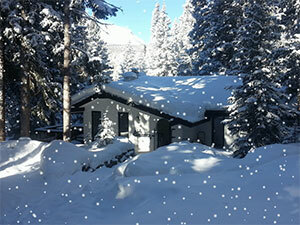 Located just 6 miles outside of Breckenridge, CO, activities are numerous in both the summer and winter months. From hiking, mountain biking and fishing to skiing/boarding, snow shoeing or simply reading and relaxing - there are endless possibilities! Our two bedroom, one bath home is complete with 2 interior fireplaces, a deck firebowl, a hot tub, and everything you need for a gourmet meal, you'll feel right at home in our mountain retreat. We know you will love it as much as we do! After your visit, feel free to share your photos with us and we can add them to our gallery page. © 2015 La Barranca Breckenridge Colorado (+1) 404-326-0282. All Rights Reserved.